Fiona Drouet, outside Aberdeen Sheriff Court with husband Germain, said too many females are the victims of campus violence. A student body has accused university bosses of failing to acknowledge the “evidential magnitude” of problems with sexual harrassment and violence on campus. The Consent Awareness and Sexual Education (CASE) group launched a survey quizzing more than 1,500 students and staff on sexual harassment and violence at Aberdeen University in February. The data was then passed on to the university but the body now claims students have been silenced because the information has not been made available to the public. Now CASE have given them a ticking clock of the year’s end before they release their findings themselves. Student newspaper The Guadie originally reported on the CASE warning. 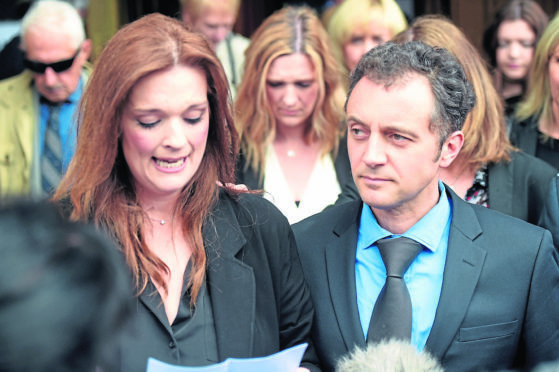 And now Fiona Drouet, whose teenage daughter Emily took her own life in halls of residence at Aberdeen University in 2016 after suffering abuse at the hands of former boyfriend Angus Milligan, has backed the calls. And Aberdeen North MP Kirsty Blackman insisted that the university must be “as transparent as possible”. In a statement CASE said: “Due to our involvement in creating the survey, CASE has access to the raw data, but it is not within our remit to publish a report with the results. “As members of the student body, we are frustrated and disappointed by the inaction of the university regarding this issue. “Although statistics may be looked upon unfavourably by university administration, without acknowledging that there is a problem it cannot be uprooted. “Silencing the statistics means a detrimental effect not just to the physical safety of students, but also to their mental wellbeing and overall effect on their very sense of self. “CASE is working hard to combat sexual violence and help students feel safe, however the impact could be far greater if the university acknowledged the evidential magnitude of the problem. “If the university refuses to release the statistics by the end of the year, we are prepared to do it ourselves.” When approached by the Press and Journal the group did not wish to comment further. Mrs Drouet said: “I am very saddened to see there are still institutions reluctant to allow transparency of this information. “We must accept these issues are prevalent across our society and universities are not exempt from that. Indeed, given their demographics, they are at high risk of receiving such reports. “Too many female students are suffering the harmful effects of gender based violence. “One in five young women receives unwanted behaviour in her first week at university, and these are very worrying statistics, especially given that we know there is under-reporting of issues. The issue of harassment at the university gained national headlines following the suicide of student Emily Drouet in March, 2016 who had been abused and assaulted by her campus boyfriend Angus Milligan. Bosses vowed to learn lessons and put in more measures to safeguard students. A spokesman for the university did not confirm when the data would be released. He said: “The University of Aberdeen has a zero-tolerance approach towards all forms of sexual violence and harassment. “We are striving to eliminate and prevent gender-based violence by working to implement the Equally Safe in Higher Education toolkit. “A working group to help tackle these issues has been established and we are delighted that student representatives from AUSA will be supporting the work of the group. The findings of the survey have already been presented to that working group and will be discussed further at its next meeting. 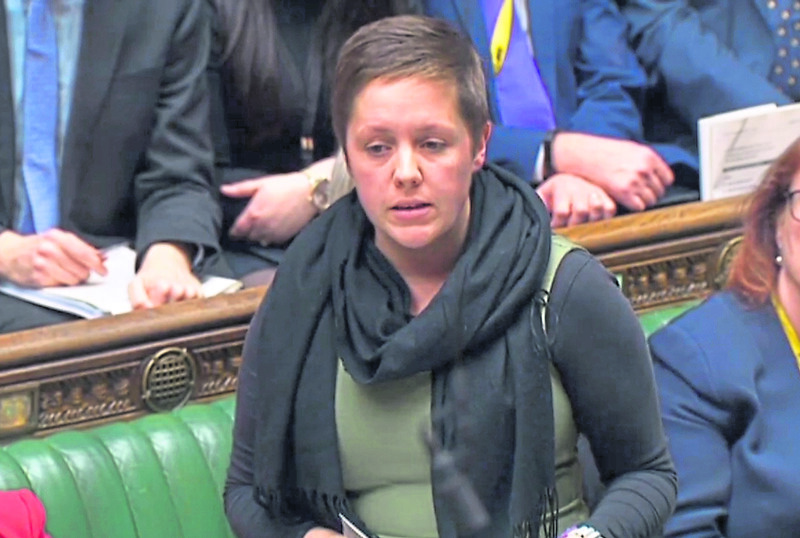 Aberdeen North SNP MP Kirsty Blackman has also backed the calls. She said: “Over the course of the last year, I have raised the issue of sexual assault with both the city’s universities and with the local police. Our public institutions must be safe places where students and staff can study and work safely. “This is obviously an upsetting issue and something that will affect people personally – especially those who have experienced harassment or assault.